David Beaulieu, began throwing pottery in his Uncle’s basement in the fall of 2009. At first the only reason he wanted to do pottery was to make plates and bowls for the apartment he would be moving into a few months later. He discovered how enjoyable it was to manipulate dirt into many different things. The innovative process and constant learning and development one goes through intrigued David and he is constantly looking for the next challenge. 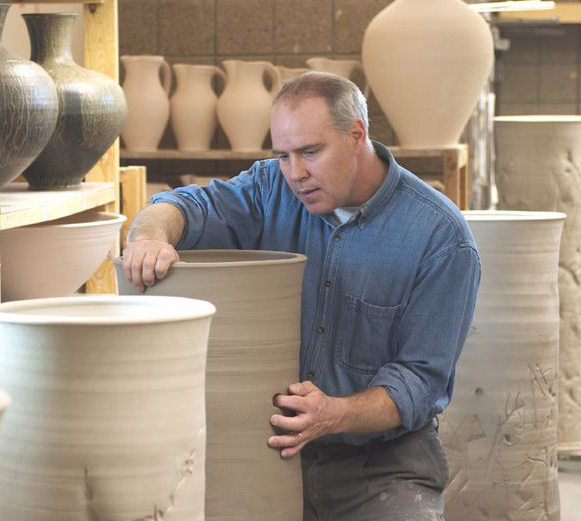 David started taking ceramic classes at Lake Superior College in the Spring of 2010 and continues to learn in and out of the classroom. He presented pieces in three exhibits in 2010 and continues to exhibit and sell his work.